In 1987, controversial politician and businessman Jesus Gil became the club president of Atletico Madrid, running the club until his resignation in May 2003. Gil made most of his money in the construction business but also spent time in jail when in 1967 one of his buildings collapsed, killing 58 people. He was eventually released by order of dictator Francisco Franco. When Gil took over at Atletico they had not won a La Liga title for 10 years and were desperate for League success. Straight away, Gil spent heavily, bringing in a number of expensive signings including Portuguese star Paulo Futre. All the spending however, brought just two Copa Del Rey trophies in 1991 and 92 as the La Liga title proved elusive, the closest Atletico came was in the 1990-91 season when they finished runners-up, 10 points adrift of Johan Cruyff’s Barcelona. Gil developed a ruthless reputation due to the way in which he ran the club. He hired and fired numerous head coaches, including Cesar Luis Menotti, Ron Atkinson, Javier Clemente and club legend Luis Aragones to name but a few. Gil closed down Atletico’s youth academy in 1992, allowing a little-known 15-year-old academy member called Raul to go across town and achieve worldwide fame at rivals Real Madrid. The club barely avoided relegation in the 1994-95 league campaign with a draw in the last game of the season. This narrow escape caused yet another head coaching change and a wholesale squad clearance during the summer. In the following 1995-96 season newly appointed head coach and ex Luton Town player Radomir Antic,with a squad including left-overs Jose Luis Caminero, Diego Simeone and Kiko as well as new acquisitions Milinko Pantic, Luboslav Penew, Santi Denia and Jose Francisco Molina finally delivered Atletico the much sought after league title. They finished 4 points clear of Valencia and never lost top spot from week 14 onwards. They also won the Copa Del Rey beating Barcelona in extra time 1-0 at La Romareda, Milinko Pantic scoring the winner in the 102nd minute to complete the La Liga/Copa Del Rey double. The next season saw the club take part in the Champions League for the first time. Summer signings included Juan Esnaider from city rivals Real and Radek Bejbi who had been superb during Euro 1996. Expectations were high but the pressure of playing on two fronts told very quickly. Atletico fell out of league contention early and in the Champions League they were eliminated by Ajax in the Quarter-Finals. Gil caused controversy by referring to Ajax as FC Congo, due to the number of players of Surinamese origin. The big spending continued with Christian Vieri and Juninho arriving in the summer of 1997. Gil’s strategy however, never changed and although Antic was in charge for 3 seasons he was finally replaced in summer 1998 by Arrigo Sacchi, who only remained in the job for less than 6 months. Antic returned briefly but was replaced by Claudio Ranieri at the end of the 1998-99 season. The 1999-00 season was a disaster for Atletico. In December 1999, Gil and his board were suspended pending an investigation into misuse of club funds and the Government appointed administrator Jose Manuel Rabi to run Atletico’s day to day operations. With Gil and his board removed, the club struggled and the players put in many forgettable performances. Ranieri resigned with the club in 17th place and heading towards the second division. 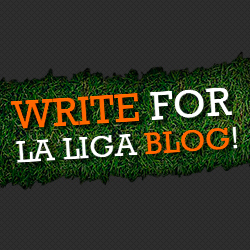 Antic returned again, but despite reaching the Copa Del Rey Final, Atletico were relegated. 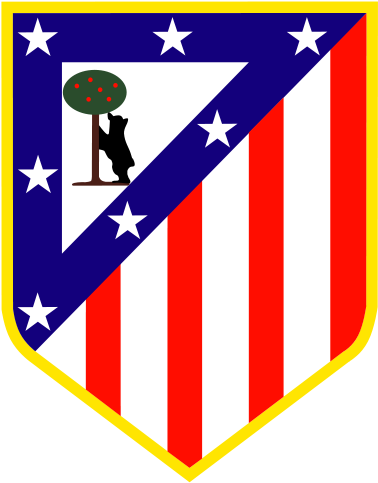 Atletico spent two seasons in Spain’s second tier, narrowly missing promotion in 2001 before winning the Segunda Division Championship in 2002. It was Luis Aragones, in his last spell as Atletico Manager, who brought Atletico back to the Primera Division. He was also in charge during the next season, being the one who gave Fernando Torres his debut in La Liga at the Camp Nou against Barcelona in a 2-2 draw. Gil resigned as president of Atletico in May 2003 after 16 years at the helm. During that time he went through 37 managers (6 in one season) and left Atletico 80 million euros in debt. He was never far from controversy and was disdained by much of Atletico’s following. Jesus Gil, who died in May 2004 (aged 71), was a flamboyant, outspoken, colourful and most definately ruthless man during his time at Atletico Madrid.